One of the latest evolutions in SEO is called schema markup. This new form of optimization is one of the most powerful, but least-utilized forms of SEO available today. Once you grasp the concept and method of schema markup, you can boost your website in the search engine result pages (SERPs). My goal in this article is to show you exactly how to get started using schema markup for your website. Schema markup uses a unique semantic vocabulary in microdata format. You don’t need to learn any new coding skills. Web pages with markup still use HTML. The only difference is adding bits of schema.org vocabulary to HTML Microdata. It’s not too often that competitors come together to help each other, but Schema.org is exactly that kind of inter-industry collaboration. What you have, then, is an agreed-upon set of code markers that tells the major search engines what to do with the data on your website. Schema markup was invented for users. This is a user-focused improvement. Search engines exist for users to gain the information they need. Schema markup does exactly that. Second, let’s understand why it’s so important. Websites that use schema markup will rank better in the SERPs than companies without markup. One study determined that websites with markup rank an average of four positions higher in the SERPs than those without schema markup. While it’s not totally clear that this higher result is due to the markup alone, there is obviously some correlation. Right now, one third of Google’s search results incorporate rich snippets, which includes schema markup. However, according to Searchmetrics, only 0.3 of all websites use schema markup. Third, let’s understand how to use schema markup on your website. Now, let’s talk about how to use schema markup. Your goal is to rank better, look better, and do better in the SERPs and in front of users. Schema markup will help you. With your website in hand, follow these steps. 1. 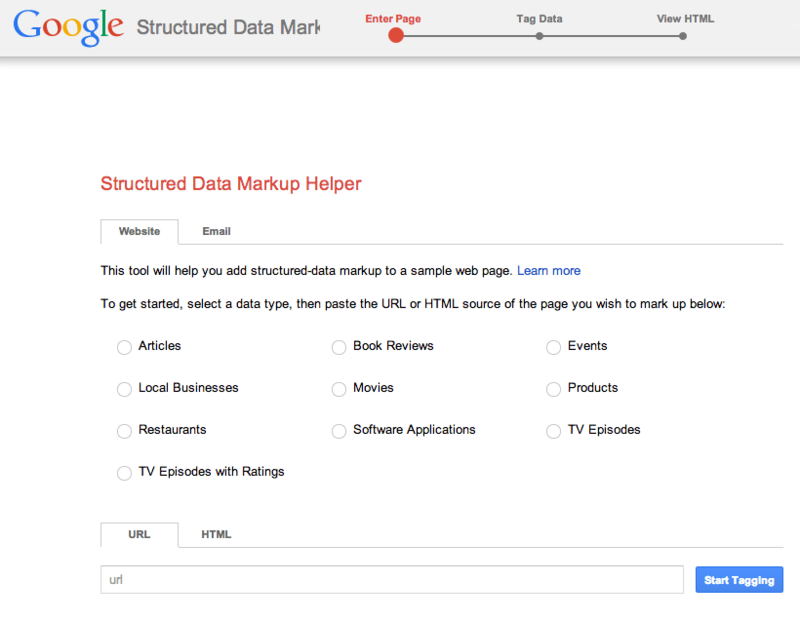 Go to Google’s Structured Data Markup Helper. 2. Select the type of data that you plan to markup. 3. Paste in the URL of the page or article that you want to markup. The page will load in the markup tool, and provide you with the workspace for the next phase of markup — tagging items. You’ll see your web page in the left pane, and the data items in the right pane. 4. Highlight and select the type of elements to be marked up. Since this piece of content is an article, I’m going to highlight the name of the article in order to add “Name” markup. When I finish highlighting, I select “Name” from the tool tip.